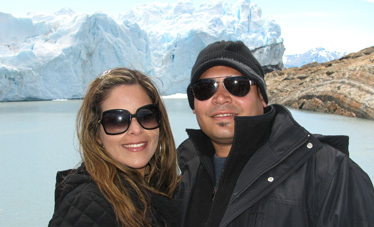 Browse this page to see where our customers have gone, what they enjoyed about their vacation, and then start planning your own trip to Argentina! Thanks for all your help both before and during our vacation to make this one truly memorable. Overall wow! We had a wonderful time in Argentina! Buenos Aires IS the Paris of South America. We especially enjoyed the wonderful Tango and Dinner show at Esquina Carlos Gardel - what great, great food and wonderful performances of the many faces of Tango. This was a great choice on your part. And we met travelers from all over the world, which was truly one of the many highlights of the trip. 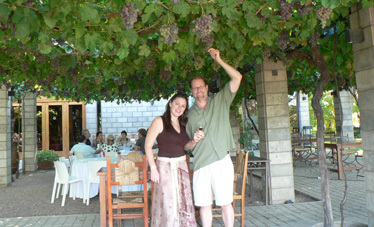 Mendoza, the wine country, was beautiful. The wineries are stunning in their grand architecture and the view over the vineyards of the mountains, including the highest mountain in the Americas, was stunning. 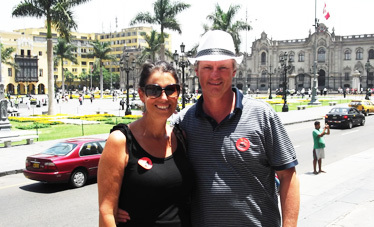 The guides you chose were informative and charming and made the tours that much better. The Vendimia festival was also out of this world. Two parades with the queens and gauchos - it was all so festive. The finale festival with the fireworks was fabulous. Overall, you did a fantastic job and made our vacation wonderful. We'll be using your services again on our next trip to South America. 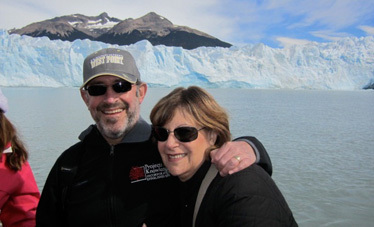 We visited Argentina thoroughly during the recent month of February. 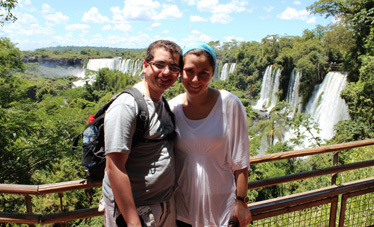 Starting from the Iguazu Falls, we visited Buenos Aires for a week finishing with 10 days in Patagonia. We started in Puerto Madryn and on through Bariloche and El Calafate before ending in Terra del Fuego at Ushuaia. Argentina for Less organized our tour very efficiently and in 3 weeks of travel we met with no problems. All hotels, starting from the Forcadell Apartments in Buenos Aires, were comfortable and well equipped without being luxurious. When required by our schedule, early check-ins were provided. 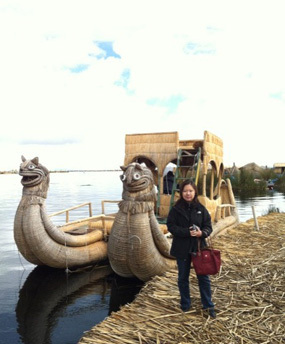 The excursions were all punctual and thoroughly professional with the right amount of time dedicated to each venue. We are very satisfied with our trip and, hopefully, will use Argentina for Less should we return to this lovely country in the future. Thank you so much for your expertise in arranging this magnificent itinerary for my cousin and me. 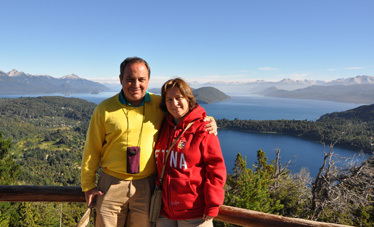 We had a brilliant time, enjoying every second of the wonders of both Southern Chile and Southern Argentina. Torres del Paine and Tierra del Fuego, especially, will live in us forever. Both you and your team took away all the difficulties and concerns a traveler may have when embarking on a trip. Your local contacts could not have been better and they never dropped us off someplace without following up with the next day's instructions, pick-up times, etc. Everyone was professional and, most importantly, trustworthy. 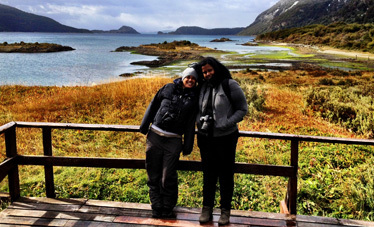 They took care of all the logistics, freeing up the short time we had for this trip to enjoy the sights of Patagonia. We could not be more pleased about choosing your company to help us with this trip and will definitely be in contact for the future! Our trip was absolutely amazing!!! We especially liked the schedule we had and the places we visited; we had enough time to see everything we wanted and some free for our own. In general we loved everything about it. 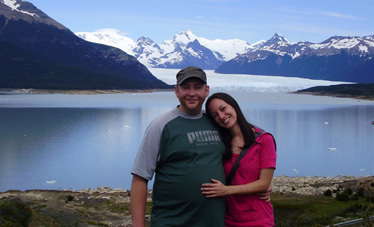 Our favorite spots were the Iguazu Waterfalls and the Glacier Perito Moreno in El Calafate. Transfers and tours were very good in general. Thanks for everything and for putting this vacation together for us. We had a fabulous time in Argentina. Thank you for all you did in planning our itinerary and working with us; you were prompt in your responses to our questions, made any changes we requested quickly and efficiently, and were very pleasant to work with. Each of the hotels you recommended was excellent, and all of the flight arrangements and airport/hotel pickups went well. We will definitely recommend you and Argentina For Less. And we found the guidebook you sent us so handy! The guide to Peninsula Valdes spoke excellent English, provided lots of interesting information, answered all questions, and couldn't have been better. We had a great time on our trip. All of our transfers were on time and our hotels met our standards. Nikoline was extremely helpful and diligent in planning all aspects of our trip. She was always available during our travels to help us. We highly recommend her and Argentina For Less to anyone planning a trip to South America. Our trip was fantastic. Overall, our experience visiting all the places in the two countries was well worth the cost, both in terms of money and time taken to get there. In fact, this was the most expensive holiday we have ever had, and given that we travel/vacation three or four times a year in different parts of the world, this is saying something! But, well worth it. South America, for a lot of us in my part of the world, is one of those continents we probably ever get to once in a lifetime. 1. The tango dinner and show in Buenos Aires. We have seen all kinds of cultural stuff in different countries, including the flamenco in Spain, but the tango beats them all. The food was great, and the show was even better. 2. 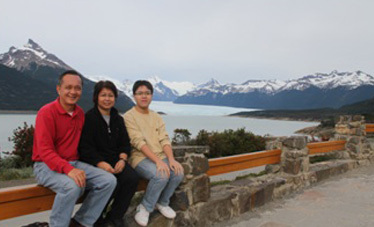 The glacier trekking in El Calafate. Awesome, awesome. We would not have done ourselves justice if we hadn't gone, as we wouldn't have experienced it anywhere or any other time. 3. Machu Picchu. Of course. It was definitely another of those "Oh-My-God2 moments. I cannot say much more about the place, except I sat and wondered how on earth the Incas ever did this...and wondered how the world would have been different if such a society had continued to flourish. 4. The Hiram Bingham train to Machu Picchu. Wonderful luxury, marvelous food, and great people that we met on board. 5. El Calafate overall was lovely. If anything, I would suggest that for your future travelers, they should go to Ushuaia first and then culminate their travel in El Calafate. I have since we came back, given your agency website/contact to two other friends who are now keen to make their way to South America. I am overall really pleased with the service you have provided for my family and I and do appreciate all the communication we have had. Again, thank you for making our Argentina and Peru holiday a wonderful experience.